A few years ago in Canada, we updated our money. 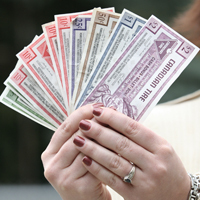 Not only is our money in all different colours, but it also has some very distinguishing features that help to prevent it from being counterfeited. One of the most cool features is that it smells delightfully like maple syrup. This probably one of the best decisions our Government has ever made! I was in the United States this past weekend and can say that it is a bit more difficult to ensure I am giving and receiving the correct change, since every American bill looks the same. It requires greater care to ensure that your money is safe in the United States because you could give $50 when you meant to give $5. The same type of vigilance goes for us in sharing and receiving information. We need to know what is the truth and what is the counterfeit. Through a recent experience, I was reminded of the fact that to be a truly effective evangelizer and witness of the Gospel, I need to be informed of the world around me, and to have an understanding of what beliefs are held that are contrary to our Catholic faith. 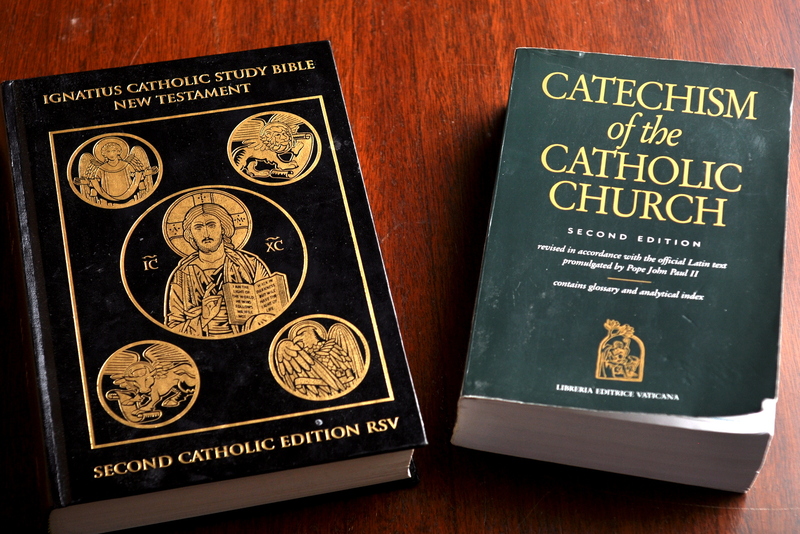 I understood on a deeper level that while I need to be “all things to all men”, in order to do this, I need to know what other people may believe, in relation to or as compared to what we believe as Catholics. This knowledge also helps me to stand strong when my beliefs are challenged. We cannot be afraid to understand other cultural or religious beliefs, or try to understand other moral points of view, so that we can carry on discussions with others in an informed way, and with love. Most importantly, we need to know the truth for ourselves. In the book of Acts, St. Paul goes to Athens, Greece and some Epicurean and Stoic philosophers met him and brought him to the Areopagus, also know as the hill of Ares. This was a meeting place for the elders to meet to discuss Greek education, philosophy, and religion. It was also filled with shrines to many different Greek deities. One of the altars was built in honor of the “unknown god”. St. Paul, being versed in Greek culture and philosophy, preached to the elders of Athens and related to them from the basis of their own beliefs, who God is. 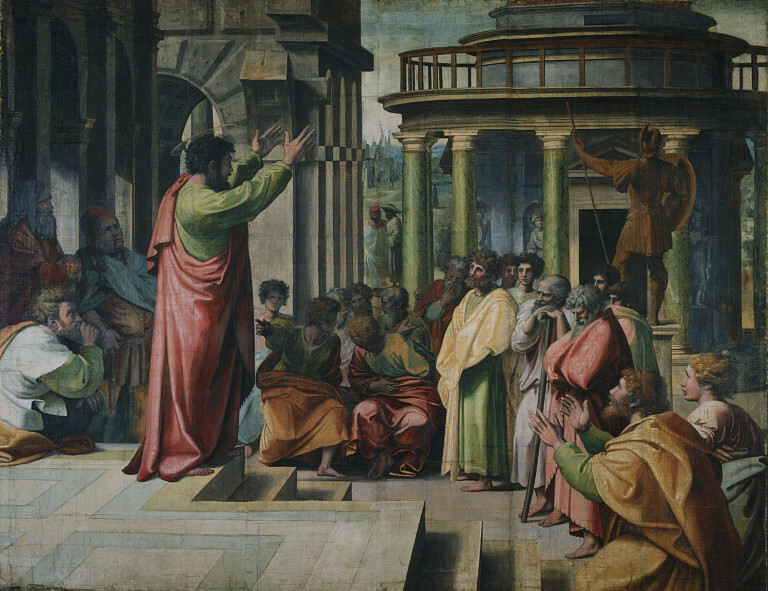 In St. Paul’s experience, he was welcomed, and went in and preached, from a place of first understanding and acknowledging the beliefs of the people of Athens. He recognized their seeking of the truth and then shared with them the truth of the Gospel. He provides for us a great example of what it means to be an effective evangelizer. We must known the culture to be able to preach to the culture. This is why the Apostles could not stay cooped up. 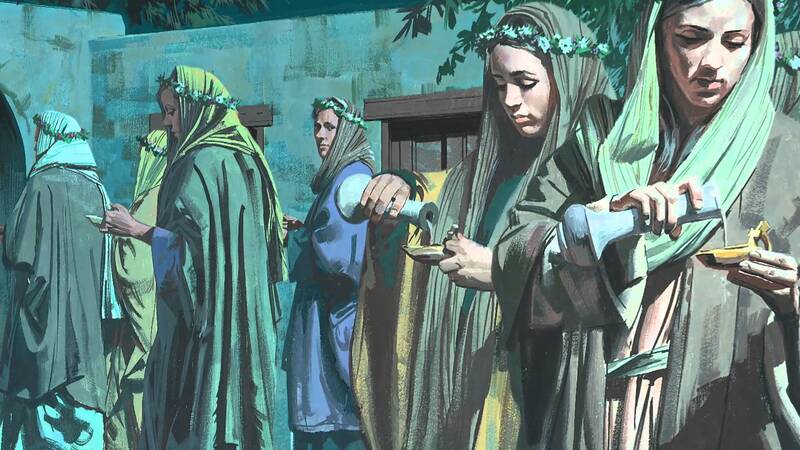 They had to go out into the world and preach the Gospel in every land and culture. When we look at the lives of the Saints, we can see many examples of those who went out unafraid into the world to preach the Gospel. St. Francis of Assisi went to Africa to preach to the Muslims. St. Francis Xavier went to Japan to preach to the pagans. We have St. Jean de Brebeuf who came to Canada to preach to the people of the Hurons (he was martyred in the process). In all these examples, they would have needed to study and learn the culture to which they were going. For us, we may not be called to go to foreign lands to proclaim the Gospel, but we are called to proclaim the Gospel where we are. This means sharing it with our family, friends, co-workers, and acquaintances. This could be as simple as speaking about it on Facebook or Twitter, sending a text or email, or simply talking about it at Thanksgiving dinner. These are our own Areopagus, to which we need to go and speak the truth in charity and unashamed boldness. This past weekend, I had the absolute honor and pleasure of attending the Ordination to the Priesthood of one of my great friends, Fr. Stephen Marsh. 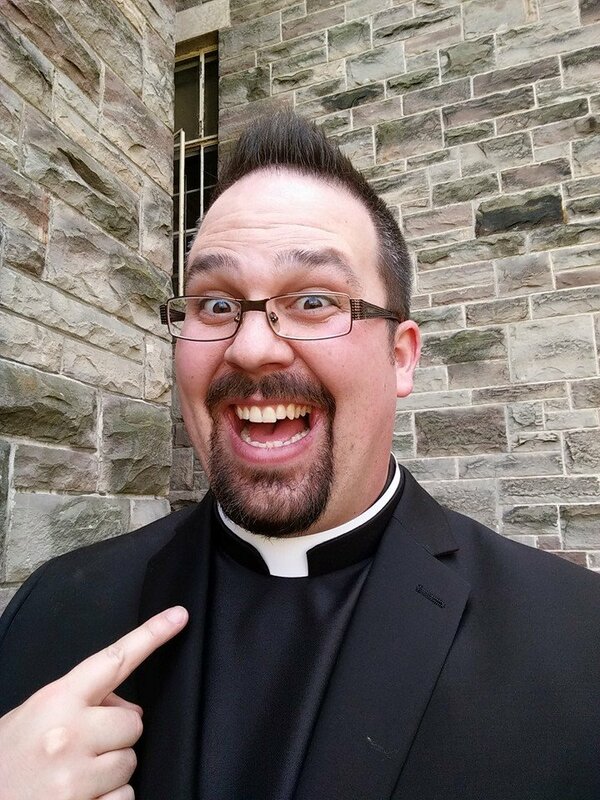 He was ordained this weekend with three other men. Though it was a long journey, Fr. Steve has finally arrived, and this new chapter in his life has only just begun. While being at his Ordination Mass, I was overcome with such gratefulness for our Priests and awe for their sacred office and how God is present to us in them. However I was also saddened to know that they are so often taken for granted, and that many Priests do and have grown cold. When we look at Salvation History, we see throughout it the great lengths that God has taken to give us this gift of Salvation, to show us his unconditional love for us, as well has His mercy and justice. We see this in a big way in scripture with the levitical priests, who offered sacrifices on our behalf. We also see this through God giving the Israelites the Manna in the desert to nourish them. With the death and resurrection of our Lord, this did not end. It changed. With our Priests, they offer the one unbloody sacrifice of our Lord on the cross, made present at the altar, for us and with us, at Mass. This was commanded by our Lord Himself that it be done. Jesus offers Himself to the Father and also nourishes us in the Eucharist, as he is the new Manna, the Bread of the Angels. He is present in the Eucharist in His Body, Blood, Soul, and Divinity. What a great responsibility and gift our Priests have been given, being entrusted with this sacred duty of offering us the Sacraments, without which we would not be saved. It brings me to tears, this fact that Our God loves us so deeply, so that He deigned to make real to us now, make available to us now, through his Priests, our salvation. When we sin, and put this salvation at risk, with a firm resolution to never sin again, and a good confession, we can return to our Lord. What great mercy! We need to remember this gift always, and pray always for our Priests, that they remain good and holy, and always advancing in virtue. St. John Chrysostom said that “If priests sin, all the people are led to sin. Hence every one must render an account of his own sins; but the priests are also responsible for the sins of others.” What a great and divine duty our Priests have. 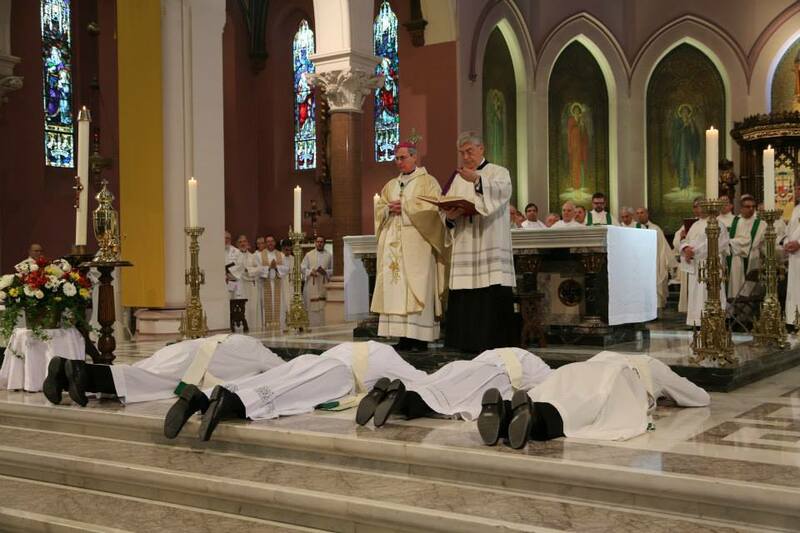 Please keep the newly Ordained Priests in your prayers, as well as all of our current Bishops, Cardinals, and Priests, that the love of God and His Church in those who have grown cold may blaze bigger than ever before, and for the rest, that their love for God and His Church would continue to strengthen and grow. May we always be grateful for our Priests, as without them, we would not have this great gift of Salvation available to us. 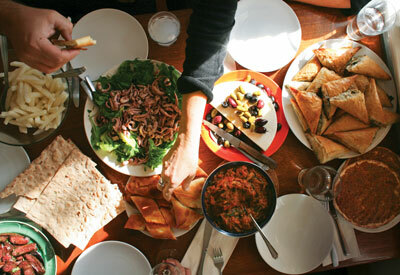 When I am invited by a close family member to eat at their home with them, I like to stay a while after and visit, unless some sort of emergency arises which calls me away, though this is never usually the case. To eat and leave without a word would be rude, but most of all, would be hurtful and would make them feel that I do not love them, and do not care about them. It would make them feel as though I am ungrateful for them, their hospitality, and for what they have done to make this dinner possible. Quite often, when I go to Mass, I try to stay after and spend some time in thanksgiving with our Lord dwelling within me in the Holy Eucharist. But, many do not. As soon as the last note of the last song is sung (and sometimes before), most of the congregation is off to the races, chatting about all sorts of things with their friends, while a few people, including myself, remain in prayer. I was definitely not always this way, however. I would maybe kneel for a few moments after Mass, but get up quickly to go. There were people there that I could talk to and catch up with. It was more important to me, at that time, to catch people I wanted to speak with before they went home. There were things to do after Mass, and people to see. 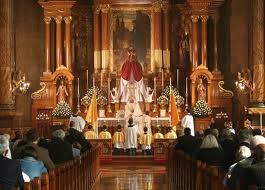 However, as I fell more and more in love with Jesus, my desire to stay with Him for a while after Mass grew. When we receive the Body and Blood of our Lord in the Blessed Sacrament, we become living Tabernacles, carrying Our Lord within us. 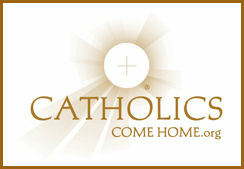 For about 15-20 minutes, give or take, after receiving Him, He is still present physically within us in the Sacrament. This is the best time for prayer; for bringing to Him our Thanksgivings, Reparations, and Petitions. It is the ideal time to meditate on the reality of God Himself being within us, at least for a time. Express your wonder at the sacrifices He imposes on Himself in His sacramental state. He conceals the glory of His Divinity and humanity so as not to dazzle and blind you. He veils His majesty so that you may dare come to Him and speak to Him as friend to friend. He binds His power so as not to frighten or punish you. He does not manifest the perfection of His virtues so as not to discourage your weakness. He even checks the ardor of His Heart and of His love for you because you could not stand the strength and tenderness of it. He lets you see only His goodness, which filters through, as it were, and escapes from the Sacred Species like a ray of sunshine through a thin cloud. How kind indeed is our sacramental Jesus! He welcomes you at any hour of the day or night. His love never knows rest. He is always most gentle toward you. When you visit Him, He forgets your sins and imperfections, and speaks only of His joy, His tenderness, and His love. By the reception He gives you, one would think He has need of you to make Him happy. Pour out your whole soul in thanksgiving to this good Jesus! Thank the Father for having given you His Divine Son. Thank the Holy Ghost for having reincarnated Him on the altar through the ministry of the priest, and that for you personally. Call upon Heaven and earth, Angels and men, to help you thank, bless, and exalt so much love for you. My desire to spend more time with Our Lord after receiving him grew, as my love for Him and my deep gratefulness for what He did for me grew. I feel that what St. Peter Julian Eymard says in his guide for Adoration, is the same for the time we have with our Lord within us, after receiving Him in Holy Communion. The journey in this life is not easy, but we can draw our strength from the One who loves us, namely, Jesus. It takes time for our love for Him to grow and deepen. I encourage you to spend an extra five minutes this Sunday after Mass, spending time in prayer and thanksgiving, and to gradually increase that time as you are able. Beg Jesus to increase your love for Him. Just as our love for our friends and family grow as we spend time with them, the same goes for our relationship with God, as we spend time with Him.